*How is it that America - the wealthiest nation the world has ever seen - is also over 14 trillion dollars in debt? *How is it that America's own citizens collectively have a negative savings rate, meaning most Americans are in debt? *How did the "money powers" and the "invisible government" create our current monetary system, a system which has brought recurring periods of inflation, deflation and depression, not to mention the current financial crisis? *How did the "money powers" amass enough power to control the President, the Congress and the Supreme Court, thereby subverting the Constitution - all in order to create a legal and monetary system that can be used to serve their own interests? *How does the "invisible government" create wars for their financial benefit, leaving less and less money to maintain our critical infrastructure? *Is there a better monetary system that can lead us out of inflation and away from the ultimate financial breakdown now facing us? 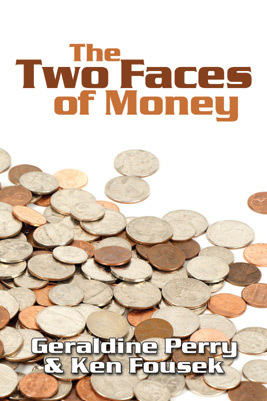 By tracing our modern money system all the way back to the man-made god of ancient Babylonia, this book unfolds many of the misconceptions we have about money and the role government plays. With her Constitutional promise of a true, �democratic� money, America at her birth offered real hope to the world that mankind could at last break free of the heavy yoke of �false� money and its worship of mammon. Yet, with the exception of one brief twenty month period, America has never fulfilled that promise. Instead, and through a long series of behind-the-scenes manipulations and legal maneuvers, a �new legal regime� was established by the invisible government of the money powers, taking America from a Constitutional Republic to the brink of an unconstitutional dictatorship. America truly stands on the precipice of her demise. But there is an honorable way out when we look for, and clearly see, the true and constitutionally mandated face of money.